HMART & LA Woori Broadcasting & The Korea Times present the biggest event of the season! 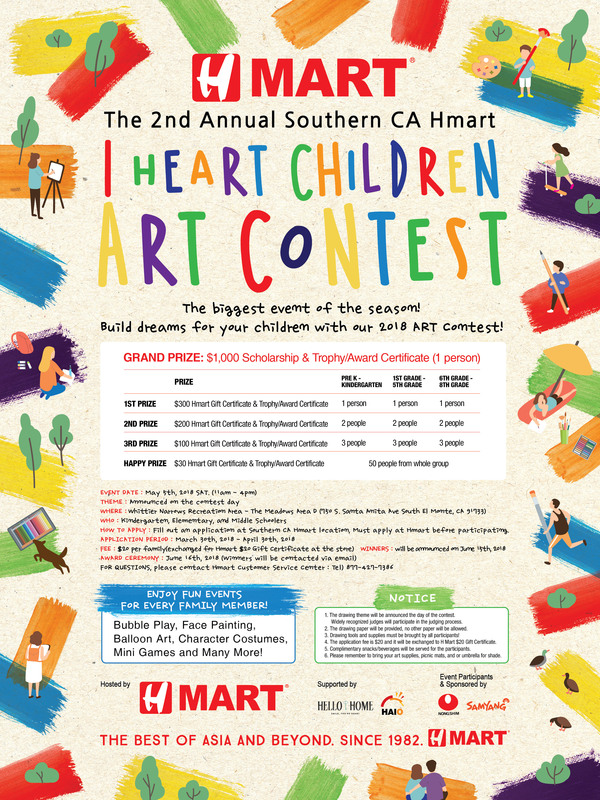 Build dreams for your children with our 2018 Hmart Arts Contest! Can we bring any personal shade to the park? Hi Jackie, Thank you for contacting us! You can bring a small shade but not like a tent or big shade! Thank you! Hello! We like Hmart a lot and also interested in the art contest. We live in palo alto of the north CA. How can we enter the contest here? Looking forwards to your reply! Thanks. Hi Lia Thank you for your interest in Art Contest! Unfortunately application period is over for this year. We hope to see you next year contest!! !